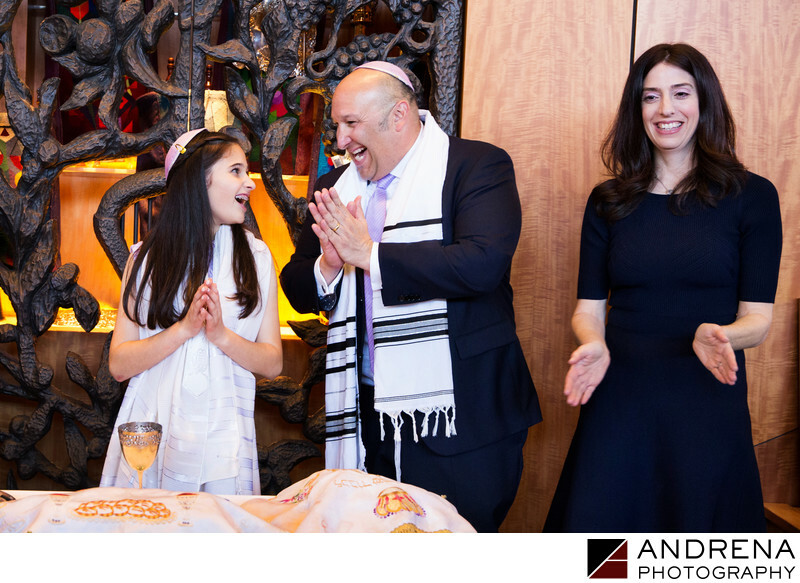 This joyous family moment took place at the end of a Bat Mitzvah at Temple Isaiah in Los Angeles. Located on Pico Boulevard, Temple Isaiah is a Reform Jewish synagogue that is focused on strengthening its congregation's connections to Judaism. The Reform temple's leadership seeks to offer a blend of ancient tradition with a modern-day spin. People attending the temple find it to be joyous and warm, full of welcoming smiles and hugs. Bar and bat mitzvahs are a particular joy for this temple, as rabbis help families celebrate their children's transition to adulthood. Location: 10345 W., Pico Boulevard, West Los Angeles, CA 90064.